Are you looking for an elegant luxury sedan, coupe, or convertible in San Marcos? Your local authorized BMW retailer can help you find the high-end luxury car that fits your needs with our Series vehicles. 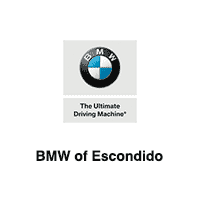 Explore our inventory of Series models for sale at BMW of Escondido, from the new BMW 5 Series to the BMW i Series to the BMW 3 Series for sale, and more! When you are ready to take home a new BMW sedan, coupe, or convertible to Poway, contact your local authorized BMW Center for a test drive! And be sure to check our current new vehicle specials before heading in!